DescriptionAdd a liberal scattering of this double sided confetti to your wedding tables to create a glamorous effect with ease. Featuring a mix of gold and white, the confetti comprises love hearts and hexagons interspersed with larger hexagons inscribed with ‘Just Married’ and ‘Mr and Mrs’. Add a liberal scattering of this double sided confetti to your wedding tables to create a glamorous effect with ease. 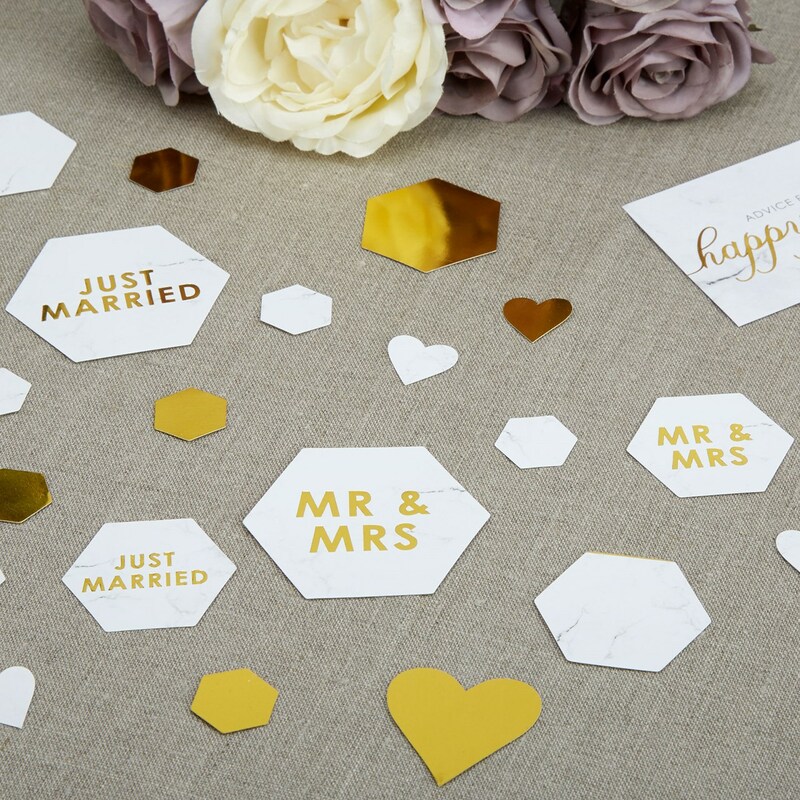 Featuring a mix of gold and white, the confetti comprises love hearts and hexagons interspersed with larger hexagons inscribed with ‘Just Married’ and ‘Mr and Mrs’.